Between the time of preparation of lands for irrigation at Waha in 1990 and the time COM leased the land in 2005, the company had expanded its services. Through the takeover of shares and land of failed bread basket or nationalized projects and the exclusive awarding of franchises by Western companies COM became a business of national importance. COM’s largest expansion was in importing, milling and selling wheat however. The broken Bread Basket dream had left Sudan not only with 22 billion USD foreign debt but also with millions displaced and dependent on imported wheat. By 2000 Sudan had become Africa’s third largest wheat importer. COM had started trading grains when it received part of its payment for Gezira land preparations in Gezira wheat grown by the government in the 1990s. 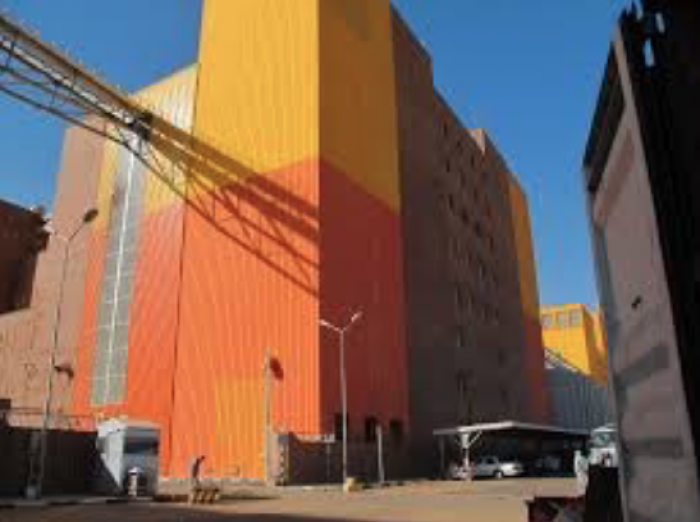 The company became a big player when it invested in Sudan’s largest flour mill and therewith earned the country’s major concession to import wheat. While Islamic banks who dominated grain markets upto that time focused on the construction of oil construction and communication, COM took their place as the key player in the wheat market. While the domestic production of the wheat remained stable at 1 Mton/year and urban population relying on subsidized bread rose steadily, imports rose from 0.5 Mton/year in the 1990s to 2.3 Mton/year at present (FAO 2015). In 2014 COM controlled more than 50% of the import, milling and distribution of Sudan’s wheat. As the largest provider of food for Sudan’s urbanites and the largest investor in Sudanese agriculture COM became a strategic ally of both the government and international partners. The government relies on COM’s international network to get wheat imported into Sudan. 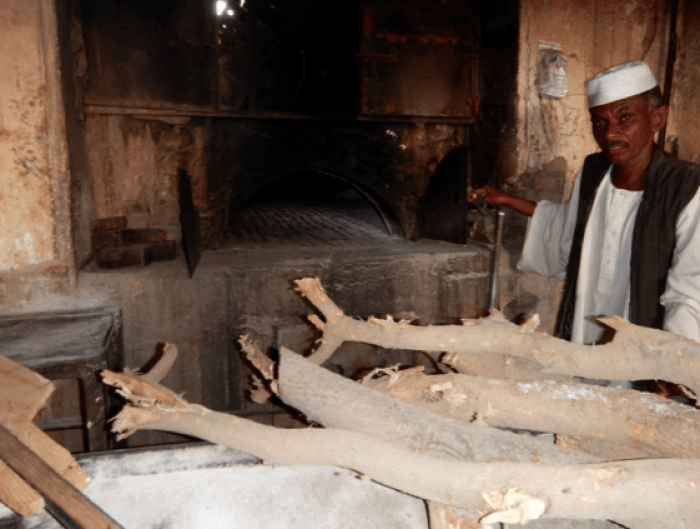 It subsidizes ‘bread’ through letting the company buy grains for exchange rate far below the official exchange rate and demanding that the stores COMprovides flour to bakeries at fixed prices throughout urban Sudan. At the same time international organisations are keen to work with COM as sanctions imposed in Sudan complicate direct dealings with the Sudanese government (Mann 2013, p285). COM uses its unique network of doing business in Sudan to produce for both Gulf and international organisations like UNDP/the World Food Programme. In was in this context that COM struck a deal with the governor of Khartoum state and the Kuwaiti investment company which wanted to liquidate its investment in Waha in the early 2000s. COM paid 1.5 million USD for the pump and irrigation network. The government – since the advent of oil not longer economically dependent from the irrigation and agricultural bureaucracy out of which the Cooperative had grown – provided the company with a 25 year lease of the land and ‘free water’. COM’s position in the Sudanese grain market is powerful yet contingent. Today Noel, Fati, and Amar like most of the people of El-Hosh, Madhi and Khartoum rely on bread made by grains imported by COM. Over the past few years the changing Sudanese grain and bread markets have put both Sudanese consumers and COM under pressure. While Sudan’s income from oil exports enabled the government to keep in place subsidies when food prices rose worldwide, this was no longer possible after oil rich South Sudan seceded in 2009. Since they removed subsidies on oil and wheat the bread price has doubled. When fuel subsidies were cut and bread price rose from 4 breads for a pound to 3 breads for a pound in September/October 2013, riots broke out throughout Sudan which killed 185 (Amnesty International 2014). Two years later, when the government increased the exchange rate at which COM imports wheat from 2.4 to 4 SDG (still well below the official value of 6 SDG and the black market value of 8 SDG at the time) COM claimed it could no longer make a profit and halted its mills. This led to a public standoff between COM and government officials who blamed the company for overcharging. Noel’s cousin tells us that some bakeries in Medani and Khartoum were offering only 1 bread for one pound at the time and how this led to new riots in November 2015. While he clearly attributes the price hike to Osman (COM), for him Osman is not to blame as he is just a clever businessmen. For him the riots are as much about food prices as about broken promises for land , crooked deals and favouritism through which individuals managed to claim the lands on which the millions now fed by the World Food programme once depended for food or work. Far from a hapless population, many reorder their modes of production and some at times engage in violent struggle. The main streets of Medani, Khartoum, Cairo and the fields from which water is diverted thus become places at which different groups of actors engage in shaping ‘river basin development’ in the age of market environmentalism.